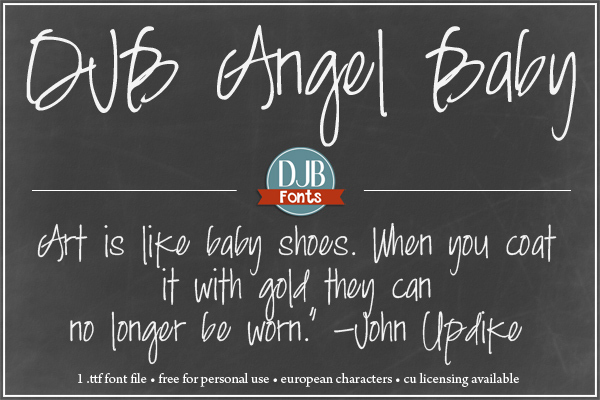 DJB Angel Baby is free for personal use (not for profit). 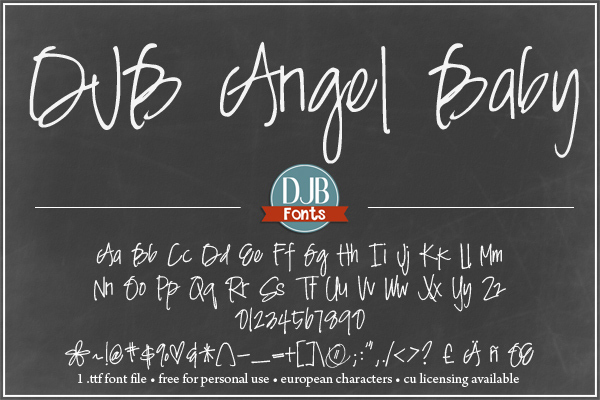 It is a beautiful print font with a script look; great for invitations, announcements and more. It contains a full alphabet, most common punctuation, numbers and European letters. You can also purchase the license from FontSpring, The Hungry JPEG or Creative Market if you want an alternative to Paypal. These versions will also include a webfont file.